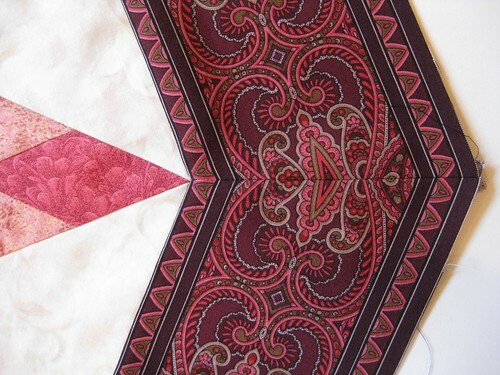 Sneak peak of the octagon miter of the first inner border on the Jinny Beyer “Nova Nouvelle” quilt I am working on. I am using Jinny’s fabric and pattern, but I visited her studio to pick out my own fabric combination to use. Wow!!! I love the Nova Nouvelle Quilt pattern… HOw can I get a copy? I have been looking all over for one…and I love the flower and outdoor pics they are great.